Don't feel like driving? We don't blame you. Take advantage of our good friends at UBER and LYFT! We worked out a special event deal with LYFT! Don't hassle with parking or driving home... grab your friends and get a free ride to the event with LYFT! Use the "SCOKTFEST" code today when you sign up and you're on your way. Don't forget to tip your driver! take the san clemente trolley! How cool is this? Our awesome City Council decided to bring the SC Trolley back out of storage for this event! The Trolley will be running all day to help you get to and from the event in style! 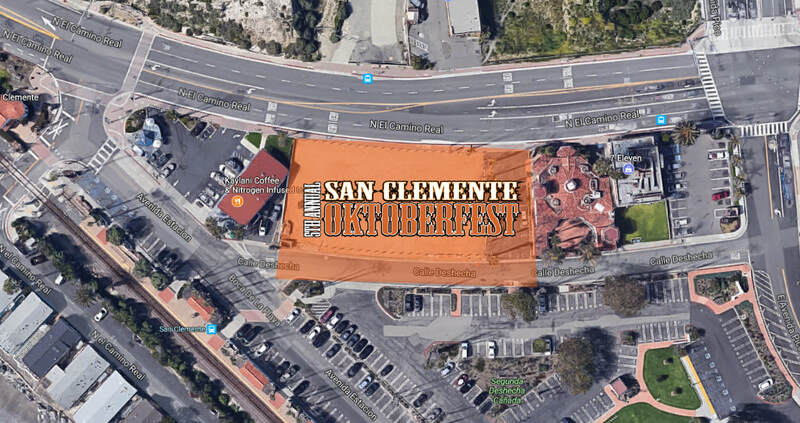 In fact, if parking is an issue at the event, you can simply park a the Outlets of San Clemente and take the trolley over! Only one stop away! Our new location in North Beach is right next to the train station in North Beach! Take the train and you won't have to mess with traffic or parking. Just make sure you take the right train or you may end up at the pier. If you do by chance, just take the trolley over... we'll see you eventually! live in north beach? walk over with us! For our neighbors in North Beach, no need to take any transportation because you can walk! One of the many perks of having the event at the new location. Thanks again to the City for creating this amazing event space! ​we want to make sure you are safe and alive. Please do not drink and drive, it's not worth it!